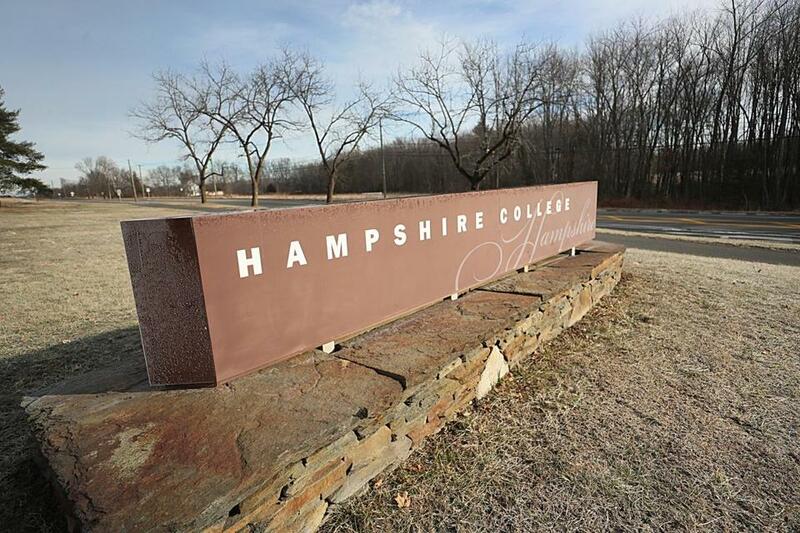 Hampshire College professors, students, staff, and alumni spent about 30 minutes Sunday presenting their Reenvisioning Hampshire plan to college trustees. HADLEY — A group representing Hampshire College professors, students, staff, and alumni pitched a proposal to college trustees Sunday to keep Hampshire independent, stave off layoffs, and set a course for restructuring the college. The group spent about 30 minutes presenting its Reenvisioning Hampshire plan, which had been submitted privately to the board a week ago and released publicly Friday. “Our plan is predicated on minimal to no layoffs,” said Rachel Conrad, a professor of childcare studies at Hampshire for 24 years. In January, Hampshire president Miriam Nelson announced that the college, facing declining enrollment, was in search of a strategic partner to shore up its finances; in February, trustees voted not to admit a first-year class this fall with the exception of students already accepted via deferred admission or early decision, a potential pool of 60 students. This year’s enrollment is 1,100 and next is anticipated to be 600, which college officials have warned means there will be staff and faculty layoffs. In a telephone interview after the meeting, Nelson said Reenvisioning Hampshire is among several options being “seriously considered” by the board. She declined to describe the others, except to say they are a range of options, from remaining fully independent to entering into a full merger. She said the smaller enrollment anticipated for next year means the college must continue to prepare for layoffs this year. The meeting, held 4 miles from the Hampshire campus at the Courtyard Marriott in Hadley, was closed to the public and press, but the group met with a reporter afterward to discuss its presentation. Members said the meeting was friendly, with no overt tension, even though the plan they presented differs substantially from the track the college administration is on in several key ways, including dropping all plans to seek a strategic partnership with another institution, retaining the school’s current faculty and staff, and relying on greater transparency as the board and administration work with the coalition in shared governance. “We’d very much like to collaborate with the board to strengthen this proposal to make it viable financially,” said Conrad. “It’s a different kind of strategic partner,” said art history faculty member Karen Koehler, who has been at Hampshire for 15 years. Group members said the meeting felt productive and forward-looking. The proposal was created by a coalition of faculty, staff, students, and alumni who have been meeting weekly on campus in an effort to save their school. The written document included the possibility of admitting a class for spring 2020, although that part of the plan was not discussed with trustees, and Nelson said that is not a possibility given the trustees’ vote not to admit a class for the next school year. Reenvisioning Hampshire calls for collaborative leadership, peer mentoring, and community partnerships; collaborative undergraduate research through a newly structured curriculum centered around contemporary social issues such as immigration, inequity, and climate change; a campaign to raise $5 million by April 20 ($2.5 million is already pledged) and $20 million by Oct. 20; and the pursuit of other revenue streams using college land. Trustees asked questions and promised to give the group financial details they requested in order to further develop their proposal. “We’re excited about this plan. We’re looking forward to getting more raw data to incorporate into it,” said Koehler. Meanwhile, trustees are working with two advisory bodies, an on-campus group and a separate external one comprising heavy-hitters from the ranks of Hampshire’s alumni, including filmmaker Ken Burns and Stonyfield Farm cofounder Gary Hirshberg. Nelson said the advisory groups will vet all the options and give feedback on them to the board. She said the board spent the day poring over finances, fund-raising, and options at various stages of development.